The former Bank of Uganda (BoU) executive director for supervision of commercial banks Justine Bagyenda has defended a decision by the central bank to sell off loan portfolios for three closed commercial banks, in the absence of valuation reports. The loans were sold off at an astonishing discount of 93 per cent. According to the auditor general, the debt portfolio comprised of secured, poorly secured, unsecured and unknown loans amounting to Shs 135 billion from Greenland bank, International Credit bank and the Cooperative bank. The Greenland bank loan portfolio was Shs 66 billion, the Cooperative bank portfolio stood at Shs 47 billion while the International Credit bank portfolio stood at Shs 21 billion. Out of the total Shs 135 billion loan portfolio, only Shs 34 billion was secured with properties. However, in December 2007, BoU, with advice from JN Kirkland Consultants, signed an agreement with Nile River Acquisition Company to sell the debt portfolio for the three banks at $5.25 million. During the time, the US dollar was trading at Shs 1,676, which amounted to Shs 8.8 billion. Evidence before the probe team indicates that the letter allowing Kirkland Consultants to ignore open bidding and select an exclusive buyer for the entire loan portfolio was signed by Bagyenda on September 25, 2007. Bagyenda was tasked by the parliamentary committee on Commissions, Statutory Authorities and State Enterprises (Cosase) to explain her basis for selling the loan portfolio at a low price. Bagyenda said that for over eight years, the central bank had been selling off the assets of the three banks and they were of the opinion that those that they had failed to sell were not that good. She insisted that the central bank hired M/S Bageine, a private firm to carry out the valuation of the bank assets. However, she could not table the valuation reports before the committee. Cosase chairperson Abdu Katuntu asked Bagyenda to work with the current team at the central bank to ensure that all valuation reports are availed to determine the next course of action for the committee. However, Bagyenda declined, saying she cannot return to the bank, in the wake of allegations that she stole documents from the central bank. Bagyenda's appearance before the committee yesterday morning ended weeks of speculation about her whereabouts. She had snubbed the committee on three various occasions, sending in communication that she had traveled to Houston, in the United States for the International Trauma Summit. 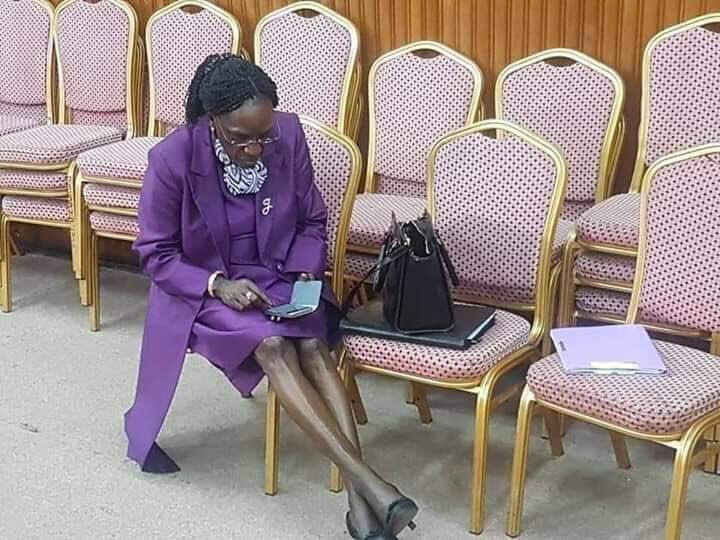 Clad in a purple suit, Bagyenda arrived at parliament by 10am, in the company of her lawyer Allan Nshimye. They had to wait for more than 30 minutes before the first legislator arrived. Unlike other occasions, Bagyenda was composed all through the meeting, while responding to queries from each of the members. Bagyenda returns before the committee today Tuesday for further questioning in relation to a report by the central bank security director Milton Opio which detailed how she smuggled bags which are suspected to have been containing critical documents. Two of Bagyenda's aides; a driver and a bodyguard, are currently held by the parliamentary police on grounds that they lied under oath after giving contradicting accounts regarding the stolen documents from the central bank. They were sold cheaply without a care in the world as if these bankrupt banks were her grandfather's possessions. On the spot. Tropical Bank, Kampala Road branch. Bank of Uganda (BoU) has ordered the sacking of the bank’s managing director. PHOTO BY ALEX ESAGALA. Kampala. Bank of Uganda (BoU) has cracked the whip on Tropical Bank and ordered the sacking of the bank’s managing director, Mr Sameh Mahmud Krekshi. Mr Krekshi, according to a letter by Mr Gerald Sendaula, the chairperson of the Board of Directors of the bank, was accused of overdrawing his account. The letter, a copy of which Saturday Monitor has seen, is dated September 27. “This, therefore, serves to notify you of Bank of Uganda’s directive contained in their letter EDS.122.100 dated September 27, 2018 to immediately terminate you from the services of Tropical Bank Ltd. You are henceforth requested to immediately hand over office and all the bank’s property in your possession or under your control to the executive director, Mr Dennis Kaketo,” Mr Sendaula’s letter to Mr Krekshi reads in part. We could not readily establish the amount by which Mr Krekshi had overdrawn his personal account and the letter remained silent on the matter. Mr Ssendaula indicated in the termination letter, however, that Mr Krekshi will be paid his benefits after deducting the amount by which his personal account, which is held in the same bank, was overdrawn. The termination letter is copied to Finance minister Matia Kasaija, BoU Governor Emmanual Tumusiime-Mutebile, BoU Supervision executive director, and the board chairperson and general manager of Libyan Foreign Bank. The Libyan Foreign Bank is the majority shareholder in Tropical Bank Ltd.
Mr Ssendaula said in the letter that Mr Krekshi failed to comply with the Central Bank’s advice to rectify the overdrawn position of his personal account. The BoU supervisors had detected that Mr Krekshi’s account had been overdrawn during an on-site examination of Tropical Bank for the year 2017. “The Central Bank recently conducted a follow up examination and established that the anomaly was never rectified as the overdrawn position was only regularised as recently as September 12, 2018, three months after the same was highlighted to the board of directors,” Mr Ssendaula says in the letter. When contacted yesterday, Mr Ssendaula said Mr Krekshi breached the rules and regulations of the bank and the board could not leave him in office after his acts were condemned by the Central Bank. “I cannot reveal how much money was involved but what I can confirm is that he has already paid back though we could not defy BoU directive by retaining him. I have since appointed Mr Denis Mugagga Kakeeto as acting MD,” Mr Ssendaula said. Mr Ssendaula said the money was paid back to Tropical Bank by the Libyan Foreign Bank where he was also on payroll. “They Libyan Foreign Bank paid off the money and they are taking him back and the process of recruiting a new officer is on and we have up to December 31 to have that position field,” he said. Mr Ssendaula said, the Tropical Bank’s articles of association provide that, the Libyan Foreign Bank as the majority shareholders will nominate a candidate of their choice for the post of Managing Director who will then be vetted by the board before being appointed. The Central Bank is currently under fire from different angles for what some see as failure to supervise the defunct Crane Bank, which for years was seen as the biggest indigenous bank and won various accolades as it grew by leaps and bound. Crane Bank, however, would in 2016 be taken over by BoU and later sold to dfcu Bank for what an audit by PricewaterhouseCoopers concluded was massive fraud and other banking malpractices. BoU officials have since been accused of colluding with officials and directors of Crane Bank to abet the malpractices and a number of inquiries have since taken off to determine what happened. It is not clear to what extent BoU’s directive in the Tropical Bank case was influenced by the queries it is facing over Crane Bank, especially since the supervision directorate in the bank has been reorganised following the retirement in July of Ms Justine Bagyenda, the former executive director commercial banks supervision. Before Ms Bagyenda retired, she had fallen out with BoU Governor Tumusiime-Mutebile, who ordered her to hand over the supervision docket months before the date of her retirement. This is not the first time the Central Bank is cracking a whip on Tropical Bank. BoU in March 2016 kicked the Libyan government out of control of Tropical Bank in enforcement of a United Nations Security Council Resolution announced a month earlier calling nations to freeze assets of the Libyan government and its associated entities in foreign countries. BoU maintained then that Tropical Bank would continue operating normally despite the sanction on the Libyan government, stating that Tropical Bank was in a sound financial condition. Uganda’s government froze $375 million (about Shs1.4 trillion) worth of Libyan-owned assets to comply with the UN action. The Former Prime Minister, Nawaz Sharif of Pakistan and his family, have offshore companies and four expensive London flats in corruption. Mr Imran has said Britain must return looted money to his country which is allegedly being stashed by corrupt Pakistani politicians in London. The former international cricketer used his first meeting with British officials since his election win, to tell the UK that he wants to secure the return his nation’s laundered money, reports the Telegraph. Khan swept to power on a populist anti-corruption ticket and did not hold back in attacking Pakistan's establishment. He has been scathing of the political class for siphoning off money from key public sector institutions and contracts before whittling away their wealth overseas. The issue of extracting wealth and sending it abroad has dominated Pakistan's politics since the infamous Panama Papers leak that linked former Prime Minister Nawaz Sharif's family to offshore companies and four high-end London flats. Sharif has subsequently been sentenced to 10 years in jail on corruption charges relating to the purchase of the London flats. Expensive property acquired through shell companies in weakly regulated jurisdictions has long been a favourite way to hide ill-gotten wealth for the likes of kleptocrats and mafia members. New UK anti-corruption legislation, created to target oligarchs and international criminals, could be utilized to freeze or seize property and assets if there is evidence it was bought with illegal or unidentified wealth. The meeting also discussed British aid to the country. African dictators always want to make a comeback as Presidents again. They really love a Life Presidency at any cost to their countries! Ethiopian’s former prime minister, Hailemariam Desalenge, led African Union mission to Zimbabwe, which was invited by the government of the country, to observe the first election since Zimbabwe’s longtime leader, Robert Mugabe, was forced out of power in a friendly coup de’ tat in November 2017. On the sideline of his mission, he met with Ethiopia’s former leader Colonel Mengistu Hailemariam which took many Ethiopians in social media by surprise. A photo of Hailemariam Desalegne smiling while posing for a picture with Ethiopia’s revolutionary leader Mengistu is widely shared on twitter and facebook. The two former leaders reporedly had discussion but the topics they covered and contents of it are not known to the public yet. Ethiopians are speculating that perhaps the government of Abiy Ahmed, whose governance principle tends to emphasize pacificism and conflict resolution, is intending to allow the former leader to return to Ethiopia. Last month, Kassa Kebede, one of the top officials of Colonel Mengistu Haile Mariam’s government, was offered a warm reception in Addis Ababa as he returned after 27 years in exile. He even held discussions with prime minister Abiy Ahmed and other senior government officials in the capital and outside of the capital. Based on the picture that is circulating in social media, Colonel Mengistu looked great for his age. He was only 33 years old when he took over power following Ethiopia’s revolution that toppled Emperor Haileselassie in 1974. Colonel Mengistu has been living in Zimbabwe for more than 27 years now as a guest of the government of Zimbabwe. Under colonel Mengistu’s administration, Ethiopia supported Zimbabwe, militarily or otherwise, in its struggle to win independence from its former colonial master, United Kingdom. Opinion seem to be divided about Colonel Mengistu. Some Ethiopians consider him as a criminal and wants him to appear before court in connection with the era of “Red Terror” and the killings of 60 senior Emperor Haileselassie government officials. Others consider him a hero and selfeless Ethiopian who stood firm for unity of Ethiopia although he abandoned Ethiopia finally, although he claims that he was not aware about how he was taken out of Ethiopia. People also refer to the fact that he was not corrupt. He was rather tough on corruption. Mr Paul Biya is led to the podium to stand again as a future President of Cameroon on the continent of Africa. There have been mixed reactions in Cameroon following President Paul Biya's announcement that he will run for re-election. 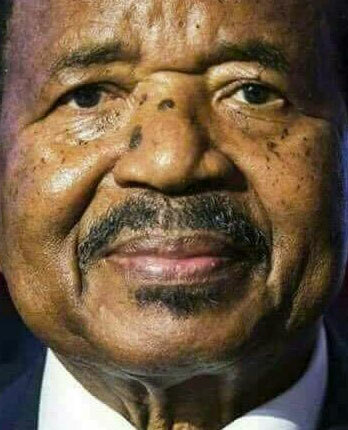 Biya has been president for 36 years and if he wins another mandate he will be 92 years old by the time his term ends. The decision by Biya to contest the October 7 presidential poll is dominating political discussions in Cameroon. At the entrance to the University of Yaounde 2 campus, students argue that by choosing to run, the 86-year old Biya has again indicated he wants to be president for life. Twenty-four-year-old sociology student Albert Ndze said he is more preoccupied with his studies than an election, but that his wish is for peace to return to troubled areas in Cameroon. "What I care is that the person going in should do what we the youths want so that peace can be in the country," he said. Biya's close aide, Jaques Fame Ndongo, said the president is responding to overwhelming calls for him to run. He said Biya remains the best choice for Cameroon because he is a legalist who strictly respects republican institutions, is highly engaged for peace to return to troubled spots, and supports the country's development to become an emerging economy. Shortly after the announcement, a coalition of 20 opposition political parties announced support to Biya. One of them, El Hadj Lawan Bako of the United Democratic party, said "active forces of this country have said, 'Mr. President, we have renewed our confidence in you, be our candidate for this election because you have the experience, you know where the shoe pinches.'" "President Paul Biya is the right person and the real person to handle the anglophone problem," he added. "And the economy of this country should move further so that we enjoy the fruit of our labor." But Jean Jacques Ekindi of the Progressive Movement party said Biya is paying off some opinion leaders and members of the civil society to stand by him. Ekindi said he is running for president to stop such manipulations. He said since Biya became president, Cameroon has been sailing from one crisis to the other, like the crisis in the English speaking regions that has claimed hundreds of lives, the Boko Haram insurgency, and many other economic, social and political crises.He says all right-thinking Cameroonians expected Biya to shut up and step down. Cameroon has dropped from a middle income country when Biya took over in 1982 to a low income country today.A quarter of its 23 million citizens earn less than $2 a day.The average life expectancy is under 60. Biya got rid of constitutional term limits in 2008, allowing him to run indefinitely. He is now the second longest serving ruler in Africa, behind Equatorial Guinea's leader, Teodoro Obiang. Mubarak and Sadat during the good times of rule in Egypt and just before the fatal shooting of Sadat on 8 October, 1981. EGYPT, Cairo — Egypt’s Giza Criminal Court continued July 3 the retrial of Habib al-Adly, the interior minister under President Hosni Mubarak, on charges of misappropriating 530 million Egyptian pounds (almost $29 million) from the Interior Ministry. All eyes are now focused on the defense to see whether Adly will follow in the footsteps of a number of Mubarak regime tycoons and submit a request to reconcile with the state and give back the misappropriated funds in exchange for charges being dropped. The option for so-called reconciliation deals became available in July 2015 with the amendment of Article 18(b) of Egypt’s Code of Criminal Procedures on reconciliation in cases of misappropriation of public funds in the event the funds in question were reinstated. This followed the state’s failed attempts to recover funds that the Mubarak regime’s tycoons allegedly smuggled overseas. Those failed attempts were disclosed when member of the House of Representatives Mustapha Al-Gundi and other members called June 16 for a pressing inquiry into the 500 million Egyptian pounds (almost $28 million) in expenses spent by the successive looted funds recovery committees in allowances. Since 2011, Egypt’s successive governments and regimes have established five committees to work toward repatriating public funds. These committees have largely been unsuccessful in fulfilling their tasks, and many Egyptians believe that the amounts paid back to the state in these reconciliation deals may be only a fraction of the actual amount smuggled. Adly might not be the last to reconcile with the state. The Egyptian judiciary continues to examine corruption cases involving many officials affiliated with the Mubarak regime. Some defendants had actually sought to conclude reconciliation deals with the state. Most notably among these is the former head of the upper house of parliament, Safwat El-Sherif, who submitted in June a request to reconcile with the state in unjust enrichment and profiteering cases while in power. In addition, former Housing Minister Mohamed Ibrahim Suleiman made a request to reconcile in June. He was accused of helping businessmen acquire public lands at below-market prices. Former Tourism and Housing Minister Zuhair Garana also submitted a request for reconciliation with the state in June. Since the law was approved, Egypt’s Illicit Gains Authority has recovered a total of 6.6 billion Egyptian pounds (almost $369 million), according to its Jan. 23 statement. How effective have these so-called reconciliation deals been compared with other attempts to recover funds? He emphasized that reconciliation deals in public funds cases would increase legal security for investors and serve the economy and society, as funds would flow to the state treasury. He indicated that the incarceration of an investor, businessman or official for a particular period of time, be it short or long, is not in the economy’s advantage. Moataz Salaheddine, the chairman of the Popular Initiative to Restore Egypt’s Looted Funds, told Al-Monitor that multiple obstacles in Egypt and abroad have prevented the repatriation of looted funds. They consist of the sluggish trial process given the thousands of corruption cases before the Egyptian judiciary, and the intransigence of the foreign Swiss, American and British parties in charge of delivering the funds to Egypt. Gambia's ex-president Yahya Jammeh flew into exile last year, leaving a fleet of presidential planes and luxury cars as a memento of more than two decades in power. Now the government is looking to sell the former autocrat's assets to raise millions of dollars for health and education projects in the dirt-poor nation. Five planes and 30 luxury cars including Rolls-Royces and Bentleys, as well as four plots of land in some of the country's finest tourist areas, are to be auctioned online. On the tarmac of Banjul airport, a Boeing 727, a Bombardier Challenger 601 and a Soviet-era Ilyushin Il-62M painted with the words "Republic of the Gambia" are now covered by a thin layer of dust. Jammeh's old planes — including two crop dusters whose green paint is gradually becoming veiled — can be seen from the airport's restaurant. In the garage of the presidential office, two armour-plated Hummers share the space with five Rolls-Royces, one Bentley, BMWs, pickup trucks, Mercedes and a Mini Cooper with a plate bearing the initials "MYJ" — for Mariam Yahya Jammeh, the daughter of the former president. The West African state hopes to raise 10 million dollars from the sale, Amadou Sanneh, the finance minister, told parliament last year. "What we are doing as a government now is to design a web portal where all the assets would be posted," Lamin Camara, permanent secretary for the ministry of finances, told AFP. A date for the sale has yet to be decided. Jammeh's 22-year rule was marred by accusations of rampant corruption and human rights abuses. The strongman was ousted when a coalition fronted by Adama Barrow won elections in December 2016. After refusing to step down, he flew into exile in Equatorial Guinea. "As far as we are concerned, these vehicles, these properties were purchased with state resources. They rightly belong to the state," Abubacarr Tambadou, the justice minister, said. Jammeh and his family left on January 21 2017 — but within hours, an aide to Adama Barrow, the new president, accused him of looting millions of dollars in his final days of power. "My government inherited an extremely challenging legacy, characterized by a broken economy, gross abuse of financial procedures, plunder of our meagre state resources," Barrow told potential donors at an international conference in Brussels in May. Jammeh ran everything from bakeries to farms during his tenure and was regularly accused of taking over successful businesses for his own gain. The former ruler is suspected of stealing more than $50 million from the state, according to the government. To secure his departure and avoid a military intervention involving five West African countries, Jammeh was allowed to bring his fleet of luxury cars to Equatorial Guinea — but most had to stay in The Gambia for lack of space on the plane. The funds raised from the sale will be earmarked for education, health and agricultural projects, in a country where most people live under the poverty line, according to government officials. A few months after his departure, his assets in The Gambia were frozen and some started being sold. Cattle left on some of his farms were sold earlier this year. The presidential planes were bought with loans signed off by the Social Security and Housing Finance Corporation, a public body tasked with financing social services and housing, its finance director Abdoulie Cham said. "If you don't follow directives, something will happen to you," Cham told a commission of inquiry into the financial dealings of Jammeh and his associates. "These are the things you cannot question." A file photo of Auditor General Edward Ouko before the Public Accounts Committee of the Kenya National Assembly. A new audit report has unearthed how the Presidency is blowing up billions of shillings in unaccounted-for, confidential expenditures. It also shows how the Interior ministry has operated secret accounts, contrary to the law, through which over Sh8 billion has been siphoned off since Jubilee rode to power in 2013. Auditor General Edward Ouko reveals that in the 2015/2016 financial year, the Presidency spent Sh1,106,009,855 in secret expenditures, slightly higher than the Sh937million and Sh685 million incurred in the previous two financial years, respectively. The Presidency brings together the executive offices of President Uhuru Kenyatta and Deputy President William Ruto. Overall, the explosive report indicates that the Jubilee administration cannot account for Sh40.2 billion in the 2015/2016 financial year. The report indicates that the government has over Sh20.5 billion in pending bills, signalling the troubles that government suppliers could be going through. The Interior ministry operated a mystery account — No.1109896077 at KCB, Moi Avenue Branch — though which it transacted over Sh8.7 billion without the authority of the National Treasury as required by law. Curiously, the powerful ministry does not maintain a cashbook, bank reconciliations and related payment records in support of the numerous cash withdrawals and deposits. Ouko has accused the ministry of deliberately concealing bank balances of the mystery account to the auditors. The Auditor General singles out Sh12.7 billion that the ministry wired out from the account into four separate deposit and investment accounts. These accounts are: Call Deposit at INSTB, Fixed Deposit at INSTB, Euro Call Deposit and USD Call Deposit Accounts. However, Ouko protests that the moves were made without prior approval by the Cabinet based on recommendations from the National Treasury. “In addition, repayments, interest and proceeds received back to the account are Sh4,211,839,878, resulting in unaccounted-for balance of Sh8,476,957,081,” the report states. The report also puts the immediate former Director of Criminal Investigations Ndegwa Muhoro on the spot for an unexplained loss of Sh193 million cash from Police Clearance Certificates. Ouko has also confirmed most details of the infamous Afya House scandal that rocked Uhuru's administration in 2016 that was estimated at Sh5 billion. The report confirms that the Ministry of Health paid Sh800 million for the procurement of some 100 portable clinics before they were installed, commissioned and handed over. The auditor has termed the move a flagrant violation of the contractual agreement. It further exposes a syndicate in which some 2,213 computers for public secondary schools valued at Sh153.8 million cannot be accounted for. According to the 2015/16 audit report, the statement of receipts and payments for the year 2015/16 showed that the ministry bought 3,320 computers for public secondary schools at a cost of Sh230.7 million. However, auditors found out that the list of the serialised computers provided reflected 921,107 computers, resulting in the variance. The latest report rekindles memories of the suspicious transfer of Sh2.9 billion from security accounts during the 2013 transition period that saw former Interior PS Mutea Iringo kicked out of government. In an indictment of President Uhuru Kenyatta's administration, Ouko concludes that the State's explanation that such expenditure “cannot be made public” is unsatisfactory. Confidential expenditures are disbursements made by the government especially on security matters that should not be made public. However, the High Court last month dealt a staggering blow to Jubilee, when it sealed the loophole by giving Ouko's office sweeping audit powers to interrogate them. Ouko has outright stated that there could have been huge cash withdrawals of taxpayers’ money disguised as confidential expenditures. For instance, Sh165,587,200 was allegedly spent on the purchase of motor vehicles, but the amount was curiously not posted on the IFMIS Ledger. “Further, verification of IFMIS Ledger shows that the payments were not posted in the IFMIS Ledger, an indication that they could have been unexplained cash withdrawals,” the report states. Ouko also says that in the last financial year, some suspicious Sh105 million was spent from the General Suspense Account without approval as required by law. Further, Ouko exposed the purchase of non-existent goods by various State Houses and Lodges worth Sh22,324,851 that were allegedly received in Nairobi for delivery to various stations across the country. “However, a verification in various State Houses and Lodges undertaken during January and February 2017 revealed that these goods were never received and there were no documents [on] record maintained in the field to support receipt,” the report states. The auditor reveals that the State department of Water irregularly procured a luxury vehicle for CS Eugene Wamalwa against government regulations at a cost of Sh7 million, contrary to Office of the President Circular Ref No. CAB/56/2A dated 7 July 2011, which prescribes a limit of Sh2 million. Ouko also reveals that taxpayers lost Sh62.2 million in interest claims for delayed payments to two contractors. Taxpayers forked out Sh34.3 million to a local firm contracted to renovate the Senate chamber and parliamentary offices while a further Sh27.8 million was paid to a foreign company that is constructing a multi-storey office block. The deployment of cadre judges is eroding the judiciary’s cardinal role of dispensing justice without fear or favour, according to Prof Fredrick Ssempebwa. A senior and respected member of the law fraternity, Prof Ssempebwa warned that the tendency is unlikely to build a strong judiciary. The phenomenon of cadre judges refers to President Museveni’s appointment of politically like-minded individuals to the bench in a practice seen to further the partisan interests of his ruling NRM regime. “We really need to have a strong judiciary…when you have cadre judges; you are unlikely to have justice,” Ssempebwa told a symposium of public-interest lawyers. The meeting, which was held at Kampala Sheraton hotel on October 20 was organised by Coalition for the Independence of the Judiciary in Uganda (CISTIJ) and Centre for Public Interest Law. The lawyers were discussing lessons that Uganda can draw from the 2017 Kenyan Supreme court election petition decision. “It takes an independent mind to interpret the Constitution and the law to come up with a just judgement,” Ssempebwa said. “I agree there is the law, and justices implement the law but implement it in a way that upholds justice,” he added, drawing reference to Justice Njoki Susanna Ndung’s dissenting judgement in the 2017 Kenya presidential election petition that led to the nullification of Uhuru Kenyatta’s re-election. Ssempebwa worked with Njoki in the writing of the current Kenyan constitution, and because of her conduct during that process, the constitutional law expert said, he was not surprised when she disagreed with the other judges who annulled the election. 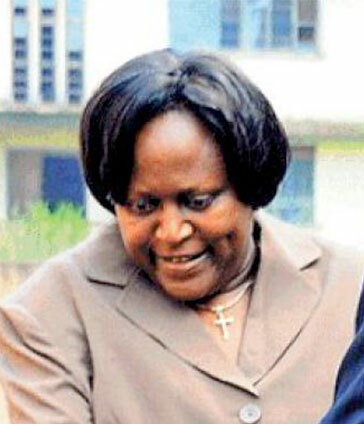 Ssempebwa, who chaired the Constitutional Review Commission that led to the 2005 constitutional amendments, poked holes in the Ugandan Supreme Court’s ruling in the 2016 Amama Mbabazi presidential election petition. He argued that the Ugandan court’s reliance on the ground of whether given evidence of rigging substantially affected a poll outcome, somehow rationalises serious electoral malpractices such as cheating. “An independent mind can judge and pay attention to substantial cheating and substantial non-compliance to the law. In Uganda, Justice George Kanyeihamba is the only judge who in all his judgements paid attention to cheating and substantial non-compliance with the law,” Ssempebwa said. “If people are disenfranchised like I was in the previous election because election materials didn’t arrive on time. By the time the materials came at 3pm in the afternoon, I and many others had given up. So, how can we show court where the votes of those who were disenfranchised would have gone?” Ssempebwa wondered, further making an argument for the need for independent- minded judges. But Elison Karuhanga of Kampala Associated Advocates, one of the firms, which defended President Museveni in the Mbabazi election petition, disagreed. “The fundamental issue on [substantial] effect can’t be underestimated. The question is; can you have a perfect election? Can’t the actors make genuine mistakes? Once you have an election, there must be a standard at which you annul it but that standard cannot be the standard of perfection,” Karuhanga argued. “Fundamentally, the issue is not the question of substantiality, because that is a misunderstanding of the issue. The real issue is; does the result of the election reflect the will of the people who turned up to vote? If the result reflects the will of the people and it is those who have the power to choose who to govern them and how they should be governed, on what basis then can you overturn that will?” Karuhanga wondered. ABABAKA ku kakiiko ka Palamenti ak’eddembe ly’obuntu bagambye gavumenti okubaga etteeka erigenda okulung’amya eby’okutwala Bannayuganda ku kyeyo kitangire ebikolwa by’okutulugunyizibwa ebituusibwa ku bamu nga bagenze mu mawanga g’ebweru. Ababaka era basabye poliisi ya Uganda okukolagana n’ey’ensi yonna (Interpol) okulondoola Bannayuganda abalina okwemulugunya nti batulugunyizibwa nga batwaliddwa ku kyeyo naddala abo abagenda okukola emirimu gy’awaka. Bino biri mu lipooti y’akakiiko kano eri Palamenti ng’ekwata ku kunoonyereza ababaka kwe baakoze lipooti eya buli mwaka ey’omulundi ogwa 18 eyafulumiziddwa akakiiko akavunaanyizibwa ku ddembe ly’obuntu mu ggwanga aka ‘Uganda Human Rights Commission’. Basabye Gavumenti okuwa obuyambi bw’amateeka eri Bannayuganda abali ebweru abeetaaga okuyambibwa nga batulugunyizibwa. Era ne bagisaba okusomesa Bannayuganda abagenda ku kyeyo engeri gye balina okukolamu emirimu n’okwetangira obutabatulugunya. Kigambibwa nti Bannayuganda abamu bava kuno nga basuubiziddwa emirimu n’emisaala emisava kyokka bwe batuuka gye bagenze nga baggyibwako paasipooti olumu nga basindikibwa kukola mirimu gya waka gye bataagenderera ne balyoka batulugunyizibwa n’okutuntuzibwa Abawarabu. Ababaka basabye poliisi okwongera amaanyi mu kusomesa abantu ba bulijjo enkola y’emirimu gyayo kibayambe okugwa mu butego bw’amateeka n’okwongera okulongoosa ekifananyi abantu kye bagirinako. Basabye aba poliisi abatulugunya abantu bavunaanibwe ssekinnoomu kuba etteeka weeriri. Ababaka era baasabye Gavumenti okussaamu amaanyi ag’enjawulo okulabirira abajaasi abafuna obuvune nga bali ku mirimu. Naye bawala baffe mulimba. Mutoloke mugende ku Police mugisabe ekitebe kya Uganda wekiri. Muduke emisinde mukiyingire muganire mu. Musabe obuyambi bwa ticket enabakomyawo e Buganda. Naffe mwongere okutuwereza obuzibu bwammwe bwemulimu tubiteke mu media nga bwetunaba tusobode. Ensonga eri emu bweti: Kizibu okusala omusango gwa kalenzi nga towulidde gwa kawala! Balooya Musinguzi (ku kkono) Peter Kabatsi ne Sudhir ku kkooti eggulo. BALOOYA ba Bbanka ya Uganda Enkulu n’aba Sudhir Ruparelia beenyodde mu kkooti - kyokka Omulamuzi David Kutosi Wangutusi n’abawa amagezi ensonga bazimali­re mu kuteesa ebweru wa kkooti kubanga gwe banaamegga ajja ku­guvaamu n’ebinuubire ebyamaanyi. Bbanka Ekulu yatwala Sudhir mu kkooti ng’eyagala asasule obuwumbi 400 bwe balumiriza nti yabufiiriza Crane Bank. Kyokka ng’omusango ogwo tegunnawulirwa Sudhir n’agenda mu kkooti ng’ayagala bannamateeka ba MMAKS ne AF Mpanga abakiikirira Bbanka Enkulu bave mu musango. Ensonga zaawa agamba nti bano baali bannamateeka ba kkampuni za Sudhir okuli Meera Investments Limited, Rosebud Limited, Speke Resort ne Crane Bank okumala emyaka 12 era be bamu ku bajulizi b’ayagala okuleeta mu kkooti. Looya Mpanga (owookubiri ku kkono) n'abakungu ba Bbanka Enkulu okuli Margaret Kasule. Bannamateeka ba Kampala Asso­ciated Advocates (KAA) abakiikirira Sudhir okuli Peter Kabatsi ne Bruce Musinguzi, baategeezezza nti Balooya abo okuwoleza Banka enkulu kikontana n’amateeka agalung’amya engeri bannamateeka gye bakolamu emirimu gyabwe. Ekyo kiri bwe kityo kubanga bamanyi ebintu bya Sudhir bingi, tekikkirizibwa okubeera nga be bawolereza eyamuwawaabira. Kyokka David Mpanga owa FA Mpanga ne Timothy Masembe Kanyerezi (MMAKS), abawolerereza banka enkulu baayanukudde nti ensonga ezireeteddwa Sudhir teziri­imu ggumba. Bo baali balooya ba kkampuni za Sudhir so si balooya ba Sudhir ng’omuntu. Baayonged­deko nti etteeka erifuga bbanka lyawukana nnyo n’etteeka erifuga kkampuni ezabulijjo. Ekirala ensonga ze baakolako ez’amakampuni ga Sudhir ezimu zaali ndagaano za kugula po­loti okugeza e Kawempe, oku­somesa oba okutendeka abakozi b’amakampuni ga Sudhir nga tezirina we zikwataganira ne bigam­bibwa nti Sudhir yakozesa ssente za Crane Bank z’asabibwa okuliwa. Mpanga yayongedde okukig­gumiza nti Sudhir ne bw’agezaako okunonooza oba okugezaako okum­weyambisa ng’omujulizi we era nakyo tekiriimu ggumba. Kubanga omuntu tayogera bwogezi nti looya Mpanga oba looya omulala yenna ajja kuba mujulizi wange. Wateekwa okubaawo ensonga ez’amaanyi ezisalawo lwaki abeera omujulizi era obujulizi bwe bukoma wa? Era waliwo ebibuuzo ebikulu ebi­teekwa okuddibwamu okuli Mpanga nga ye mujulizi omukulu? Asobola okulowoozebwako ng’omujulizi? Era bwe kiba bwe kityo aba mujulizi wa ludda ki? N’agattako nti Sudhir yan­dibadde n’ensonga ssinga Mpanga ye yereese oba okusaba okwegatta mu musango. Kyokka kkampuni ye yatuukirirwa Banka enkulu eyagiwa ebiragiro okuyita mu mateeka, Sud­hir akomyewo ssente za Crane Bank. Kkooti etawulula enkaayana z’ebyobusuubuzi eyabadde ewulira ensonga zino yabadde ekubyeko nga n’abantu abalala bali bweru. Era omulamuzi oluvannyuma lw’okuwuliriza balooya yawadde amagezi: ssinga nze mbadde mmwe ensonga twandizimalidde bweru wa kkooti mu kuteesa. Kubanga bwe munaaleka kkooti ebasalirewo, oludda olumu lujja kuva wano n’ebinuubule eby’amaanyi ate mwenna muludde nga mukolagana. Wano we yaweeredde Sudhir omukisa okubaako ky’agamba. N’ategeeza: Ssebo omulamuzi oku­bimalira ebweru kijja kuba kizibu mu kiseera kino nga Crane Bank eri mu mikono gya Banka enkulu. Kyokka ye Muky. Margaret Kasule eyakiikiridde Banka enkulu talina kye yayogedde. Ate Looya Mpanga n’agattako nti ensonga bwe ziba zaakumalira bweru wa kkooti, omu­lamuzi omukulu (Principla Judge) y’alina okuba omutabaganya. Omulamuzi Wangutusi yawadde olwa November 14, 2017 okuwa ensalaye ku nsonga eno, ssinga eby’okuteesa binaaba bigaanyi. Obalabye bano ba Mafia abatudde mu sente eziriko omutwe gwa Uganda! Okutte obusubuzi bwange kifuba obugabye era sikyakola. Kakati gwe omulamuzi kutegeragana kiki kwoyogerako okwobuntu bulamu okusanidde okukolebwa. Ebinubule byoyogerako gwe omulamuzi omuwi womusolo yatekwa okubifuna oba ayagala oba tayagala. Abalamuzi ba Uganda mumanyiddwa bulungi wona munsi zonna, nti emisango mugisala kusanyusa governmenti ebasasula, noyo aba abawadde omusimbi ogubamala mumusango! The diamonds were seized on August 31 at the airport in Tanzania’s main city of Dar es Salaam as they were being shipped to Belgium. The Tanzanian government said it had confiscated diamonds worth nearly $30m after accusing British company Petra Diamonds of having declared a lower value when trying to export the gems. Speaking on government television channel TBC 1, finance minister Philip Mpango said the diamonds extracted from the Williamson Diamonds mine had been “nationalised”. The mine is 75%t owned by Petra Diamonds, with the remaining stake held by the Tanzanian state. According to Tanzanian authorities, the documents from Williamson Diamonds estimated the value of the shipment at $14.7m based on a lower declared weight, while in fact they were worth double the amount. “The Williamson Diamonds company documents put the value of the diamonds at $14.7m (before cutting and polishing) while their real value is $29.5m,” the finance ministry said in a statement on Saturday. On Thursday, two senior officials in the mining sector who had been cited in parliamentary reports on suspected embezzlement connected with the mining and sale of diamonds resigned following pressure from President John Magufuli. Nicknamed the Bulldozer, Magufuli swept to power in 2015 on an anti-corruption platform. He has said government officials implicated in the parliamentary report should resign and not wait for a formal dismissal order. Magufuli has also locked horns with foreign mining companies which according to a parliamentary report have underreported their production, thus depriving Tanzania of tens of billions of dollars in revenue since 1998. UGANDA, KAMPALA:The Ministry of Defence is embroiled in a fresh procurement scam involving a little-known businessman and Defence officials through collusion and outright plunder in a series of contracts, including the Shs76 billion project at the army’s training school at Kaweweta. Daily Monitor has seen a cache of documents of the Uganda People’s Defence Forces’ (UPDF) internal investigations, which indicate that the businessman Eria Mubiru and his companies J2E Investment Corporation Limited, Roester Construction Corporation and some Defence officials have fleeced the Defence ministry of billions of shillings in inflated and dubious contracts. Mr Mubiru’s companies are accused of fraudulent procurement, presenting fake profiles of employees to win contracts, concocted books of accounts, tax evasion and failure to execute works paid for. In the army’s investigation documents, the UPDF accuses its own officers of collusion with Mubiru’s companies to fleece ministry of Defence. Following several queries about the Infrastructure Development project at Kaweweta Recruit Training School, the army launched an investigation and released its report on October 22, 2015. The report states that Phase One of the project was awarded to J2E Investment Corporation at Shs2.2b under the Bid Acceptance on March 11, 2010. However, the report says, the works were meant for Bihanga Training School in Ibanda District and it’s not clear how they were transferred to Kaweweta RTS. Kaweweta training school was commissioned on September 14, 2012 and the same year, Mr Mubiru’s company supplied furniture worth Shs700m without a valid contract or purchase order. “The justification given that the recruits were about to pass out was insufficient to clearly support it, especially where there were no specifications availed to the end users to base on before receipt (of furniture). Such a loophole shows no value for money,” reads the army’s report signed by former deputy Chief of Defence Forces Lt Gen Charles Angina. Gen Angina team says in some instances the companies started work before the bidding opened and would be awarded contracts half-way the project to formalise the process. The same company, under a separate bid, was awarded another contract worth Shs6.4 billion for emergency water works at Kaweweta. The works were meant to start on July 30, 2014, but did not. The excuse given was that the works would disrupt the training of recruits, but the same company was contracted again for Shs3.6b to build a parade ground at Kaweweta and received Shs2.6b in advance. Again the works did not start and in the meantime works for the project’s Phase Two and Three were running concurrently. “The contractor began works without a contract. In a letter dated November 29, 2013 to Commander Engineering Brigade, the Joint Chief of Staff (JCOS) instructed for urgent initiation of the works to provide critical infrastructure requirements,” the probe report further states. On February 4, 2015, the UPDF Engineering Brigade wrote to the Defence ministry’s Permanent Secretary through the Joint Chief of Staff, showing the costs for critical works in Phase 3, estimated at Shs21.9 billion. “This was in conformity with the Engineering Brigade estimates prepared in January 2015 and received by the Contracts Committee on June 22, 2015. This raises concern why they took long to be delivered,” the investigators noted. On July 3, 2015, the Ministry of Defence used restricted domestic bidding and issued bidding documents to four contractors. They were approved by the Contracts Committee on June 30, 2015, but out of the four, J2E Investment Corporation was rated the best and lower bidder at Shs28.6 billion. However, the investigations found that the bid was Shs6.7 billion above the reserve price set by the Engineering Brigade. “…and in the circumstances that no service provider seemed to have met the bid reserve price of the Engineering Brigade, the best course of action was to advertise again putting into consideration the market and financial conditions prevailing in the open market,” Gen Angina observed. His report further states that instead, on August 19, 2015, the Contracts Committee rejected the Engineering Brigade’s revised bill of quantities, saying there was no justification for increasing the cost from Shs21.9 billion to 29.7b. 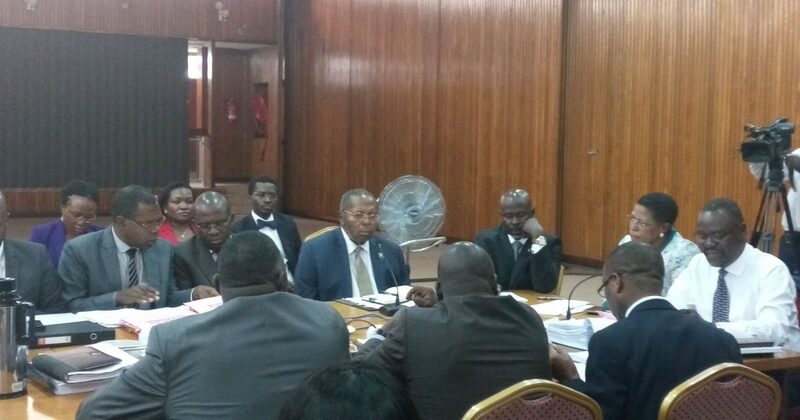 But surprisingly, on October 2, 2015 the same committee approved J2E to be awarded the contract at Shs28.6b. By this time, even before the contract was awarded to him, Mr Mubiru’s company had zealously injected Shs11 billion into the project. The investigators also observed that J2E was by now overstretched with work but its appetite for more deals and the urge by the army to award it more contracts was only surging and unquenchable. Despite the stalled works at Kaweweta, the same contractor under a different name Roestar Construction Corporation, was on March 22, 2014 awarded another contract worth Shs5.9b for priority works in Olilim SOFAAD Training School. “The contractor managed to carry out some preliminary works and mobilisation and later abandoned the site. This was attributed to delayed payments by Defence. Even after he asked for renewal of the project period for one year, which was authorized on September 22, 2015, works did not commence as he is overstretched by ongoing works. Such a situation raises serious concerns why all the works were being concentrated on one individual yet there are other pre-qualified bidders who can equally be given an opportunity to work with MOD/UPDF. This was a clear indication of influence peddling by the contractor,” Gen Angina noted in the report. On December 3, 2015, a separate investigation into contracts to J2E and Roester was commissioned. His probe, which covered other projects done by the same J2E and Roester companies, described Mr Mubiru as a dishonest man. “Records presented for the Phase 2 procurement showed that his dishonesty extends beyond overpricing (quotations) to forgery of academic qualifications as an engineer from Ndejje University. He has never gone to this university. This is contrary to ethical conduct of business for bidders under section 93 of the PPDA Act 2003, making him unfit to run government contracts,” Gen Angina’s report states. On April 25, 2015, Ndejje University Academic Registrar B.M. Sekabembe wrote to the UPDF, stating that Mr Mubiru has never studied engineering at the university and accordingly such academic papers must be fake. The inquiry also lifted the lid on other staff of Mubiru’s companies whose profiles were submitted during the bidding process as proof of competence to execute the contract works. The report further states that Mr Isaac Ayepa, indicated as the project manager for the Parade Square, site manager for the dam and senior engineer for Phase 3, seems non-existing. For the dam project, his profile indicates that he joined J2E Investment in December 2013, while for Phase 3 bid of Kaweweta RTS, he is indicated to have joined the same company in April 2014. “This shuffling of facts applies to all personnel. Patrick Kalule, whose profile is submitted as project manager for all projects does not work with the company,” Gen Angina probe says. “It was also confirmed the contractor uses Engineering Brigade personnel from DD Regiment who were attached to the contractor under instructions to carry out official work for him and it was the same Engineering Brigade to do the technical evaluation… In other words Engineering Brigade makes the drawings, costing under supervision of the contractor who submits them for procurement and the same brigade evaluates their “employer” for the job…,” the probe team noted. The probe says the company’s books of accounts exuded a stench of fraud with the contractor found to have a balance sheet size of Shs206m as total assets for the last three years and hasn’t made a profit above Shs12m, a scenario that suggests tax evasion. Financial statements seen by Daily Monitor indicate the company’s highest revenue/sales were in 2012 at Shs1.3b yet it won the contract for Phases 1, 2 and 3 of Kaweweta works and the dam and Olilim worth Shs76b. “Unless it was a miracle, how could the evaluation and contracts committee fail to detect that such a company lacked the financial capacity before and now for all these contracts? This indicates existence of an extensive procurement collaboration network within the Ministry of Defence,” the report asserts. The investigation lists many more cases of fraud in the company’s transactions with the Ministry of Defence in collusion with various officials including auditors and the ministry’s internal departments. When the President was set to pass out the recruits, the army leadership asked for a square to be built to insulate him from dust as soldiers marched during the parade. Initially, the army was to undertake the work but Mubiru’s company was instead contracted to build the square at Shs3.6b. Mr Museveni later passed out the recruits on a dust-filled ground because the works were still incomplete yet Shs2.3 billion had been advanced to the contractor. Interestingly, J2E Investment Corporation claimed rich experience from landmark construction projects and cited Labanurm Courts owned by Kingstone Enterprises as one example of their projects done in 2008 at Shs2.3 billion. However, the property belongs to Oasis Group of Companies and were completed in 2013 at $50 million. A separate investigation done in January this year raises the same sticky issues about the same company and recommends an overhaul of the army’s procurement, contracts and construction committees. The probe team comprised Brig Sam Kavuma, Brig. Ramathan Kyamulesire, Col. Abdul Rugumayo, Lt. Col. L. Arikosi, Lt. Arthur Ruhinda and Okello Engola. They ordered recovery of the Shs700m paid to Mr Mubiru for furniture supplied to Kaweweta without a contract and prosecution of the officers behind the deal. 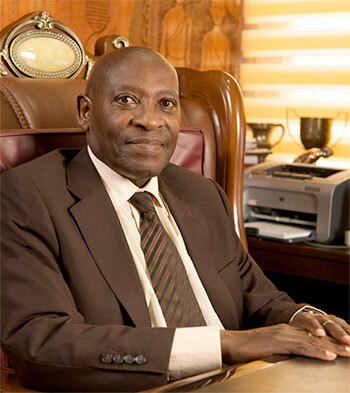 According to documents obtained from the Registrar of Companies dated June 28, 2003, J2E Investment Corporation has Mr Jordan Magunga, Ms Peninah Busingye and Eria Mubiru as the directors. He then warned the PS, “If in 19 days the matters raised in this letter are not resolved we shall begin to demobilise all equipment from the site and shall forward to you both demobilisation and mobilisation fees.” He suspended the works on November 23, 2015. Daily Monitor could not reach Mr Mubiru, the sole company signatory and director, for a comment as calls and text messages to his known cellular line went unanswered. Charges. In 1992, a senior aide to President Museveni, Capt Innocent Bisangwa, and four other people were indicted on charges that they had illegally tried to export antitank missiles and launchers to Uganda. Two of the men were also accused of illegally trying to sell helicopter parts to Libya. Shoddy deal. In 1999 Monitor reported another shoddy deal, when the Uganda Peoples’ Defence Forces (UPDF) imported an assortment of substandard military uniforms from China. According to a reliable source then, 10,000 pairs of combat military uniforms imported under a Shs1.5 billion contract deal from a China-based British registered firm, Britanica were found to be inferior in quality and size. Fake arms deal. In 2015, a Polish company was conned out of more than Shs2b in a fake arms deal. Prima Investments Uganda, claimed they had been contracted by the Defence ministry to find a company that could supply 375 tanks specified as T-54, T-55, T-72, T-90s; a number of PT-76 amphibious tanks; assorted BMP infantry fighting vehicles; 46 Ferret and Eland light armour reconnaissance cars and six self-propelled artillery pieces. Brig Richard Karemire, the UPDF and Defence spokesman. The President of Angola has appointed his daughter, Isabel Santos, to head the State Oil company of Angola. Angolan President Jose Eduardo dos Santos’s daughter, reportedly Africa’s richest woman, has been cleared to head the national oil company Sonangol, after a court rejected a legal challenge. Isabel dos Santos was put in charge of Sonangol in June in a move some analysts said was the first sign of succession plans for the country’s long-time ruler. The president, in power since 1979, later announced that he would stand down in 2017, though no successor has officially been named. His daughter’s appointment was disputed by 12 lawyers who said the law did not allow public officials to nominate family members, but the Supreme Court ruled in her favour on December 22, an official said Thursday. “According to the decision… the appointment of Isabel dos Santos by her father does not violate the law on public probity or the Angolan Constitution,” said David Mendes, a spokesman for the lawyers. The country’s opposition had equated her Sonangol appointment with nepotism, prompting the legal challenge. Mendes said the lawyers would appeal the decision at the country’s Constitutional Court. “The judgement of the Supreme Court has many shortcomings and does not satisfactorily answer the questions we asked,” he said. Nicknamed the “Princess”, the president’s 43-year-old daughter has been ranked by Forbes magazine as the richest woman on the continent with a fortune of around $3 billion (2.87 billion euros). She owns stakes in several companies in Angola and former colonial power Portugal, notably in the banking and telecommunications sectors. Three years ago the president appointed his son Jose Filomeno dos Santos to chair the country’s $5 billion Sovereign Wealth Fund. Sonangol has been mired in financial difficulties since the fall in global oil prices. Since her appointment in the summer the president’s daughter has pledged to turn the company around. Earlier this month Sonangol announced it would not pay dividends to the state this year — a first for the country’s main source of foreign currency. Angola’s vast oil wealth has not trickled down to the masses and critics accuse both dos Santos and his family of amassing huge wealth by siphoning off state funds. Jyoti, left, and Kiran Matharoo is right. This is an African country that had a President who used to import such international prosititutes who became his undoing. It was a coup-de-tais of the African kind successfully done by the females of this world. Rather than call the police, locals in Ikorodu, Lagos State, Nigeria, dished out their own brand of instant 'justice'. After he was seized by the chickens' owner, the suspect was beaten senseless. Disturbing images of the boy show him with a swollen and bloodied left eye. Then he was forced to parade with three chickens tied around his neck. Locals laughed and jeered at the teen as he was marched around the market by the chickens' owner and local leaders to punish him. Public justice is a common form of punishment in Nigeria where locals can be suspicious of police or official involvement. Officials are often seen as corrupt and easily bribed and ordinary people prefer street level self-administered justice. The man's name was not revealed and it is unclear if he was handed over to the police after the mob had finished with him. 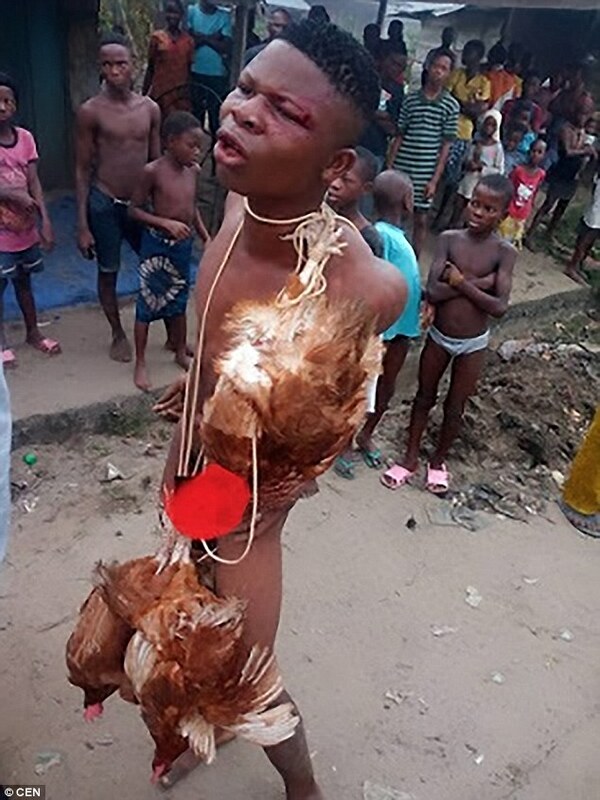 The suspected thief was photographed as the locals punished him for stealing chickens. Parliament’s select committee investigating the affairs of Uganda Telecom Limited (UTL) has halted all financial transactions by the company. e directive in a meeting with the top UTL managers led by managing director Mark Shoebridge, chief finance officer James Wilde and corporation secretary David Nambale. Speaker Rebecca Kadaga appointed the committee led by Chua West MP, Philip Okin Ojara, following a whistleblower’s report presented by Budadiri West MP Nathan Nandala-Mafabi citing alleged mismanagement in UTL. Mr Mark Shoebridge the High-Tech British Managing director. An English Expatriate of NRM liking. UTL is reported to have a local and foreign company debt amounting to Shs 128 billion. Some of the claimants include Uganda Revenue Authority (Shs 58bn); MTN Uganda (Shs 8bn), UCC (Shs 22bn) Huawei Technologies (Shs 24bn) and NSSF (Shs 16bn). While appearing before the committee, Shoebridge admitted that the current debt stands at over Shs 500 billion, but says the company is slowly clearing its debt. Government owns a 31 percent stake in UTL while Libya African Portfolio Green owns 69 per cent shares. During the meeting, MPs demanded for audit reports from UTL managers in vain. Michael Tusiime, the Mbarara Municipality MP, wondered why the managers allowed the debt to accumulate, noting that it was improper and dangerous for the fate of the employees. The committee directed the company to stop any financial transactions and present audited reports of the company from 2000. It also ordered the company not to fire any employee until the probe is complete. President John Magufuli revealed that he has dissolved the Tanzania Revenue Authority (TRA) board and sacked its chairman after its decision to deposit $13 million in fixed deposit accounts in three different banks. The president accused the board, chaired by Mr Bernard Mchomvu, of irregularly diverting the money meant for the taxman's recurrent expenditure to fixed deposit accounts where it would generate interest that was to be shared among the agency's top brass. “While we are working hard to fight ghost workers and people who illegally benefit from funds meant to help Tanzanians living in abject poverty, some senior officials have come up with new ways of personally benefiting from public funds,” Mr Magufuli said during a graduation ceremony at the Open University of Tanzania in Kibaha, Coast Region. He said the government had at times had to borrow its own money deposited with the banks by dishonest officials to implement development projects. President Magufuli also directed the Minister of Education, Science, Technology and Vocational Training, Prof Joyce Ndalichako, to investigate reports that the Tanzania Institute of Education had stashed away over $150 million in fixed deposit accounts in five different banks. The money, he said, was to be used to address various challenges in the education sector. Since coming into office in November 5 last year, Magufuli has been cracking down on corrupt government officials seeking to increase efficiency and closing avenues for embezzlement of public funds. Less than a month after he was sworn in, the president sacked TRA Commissioner-General Rished Bade and his deputy Lusekelo Mwaseba following loss of taxes of over $400 million and 349 containers at the Dar es Salaam Port. Ono mwanyina wa Pulezidenti Museveni kyokka tavaayo nnyo kweyoleka bantu. Yafumbirwa musajja Mugirimaani Froerich era emirimu gye asinga kukola gya kikugu mu bitongole ebigaba obuyambi, ebyenjigiriza n’obutonde bwensi. Ekiseera kino mmemba ku kakiiko akafuga ebyenjigiriza mu ggwanga aka Education Service Commission. Mukyala Kajubiri eyafumbirwa omusajja omu Germany. Wakati wa 2005 ne 2007, yali atuula ku kakiiko akakola ku kukyala kwa pulezidenti mu matendekero aga waggulu ne yunivasite mu ggwanga. Mu 2001 okutuuka mu 2004, yali akola mirimu gya kikugu mu kitongole kya Protestant Development Aid ekigaba obuyambi ng’atuula Germany. Mu 1991 okutuuka mu 1999 , yali muwandiisi mu kitongole. [A Twitter bot tracks planes that are publicly registered by 20 authoritarian governments. Dictators hoping to make a discrete visit to Geneva might have their plans foiled thanks to a sneaky Twitter bot. The GVA Dictator Alert tracks aircraft that are registered to authoritarian governments and then shares arrival and departure times on Twitter. The project stemmed from an article Pilet wrote about the leader of Equatorial Guinea, Teodoro Obiang Nguema Mbasogo. Pilet would track frequent trips Mbasogo made to Geneva, many of which were sometimes on an Equatorial Guinean airline that has been prohibited from European airspace. Working with his cousin, a former Google engineer, Pilet created a device that can scan antenna signals around Geneva on an hourly basis. Whenever a marked plane enters its airspace, the bot automatically posts the details to Twitter. The bot now tracks planes that are publicly registered by 20 authoritarian governments, including Azerbaijan, Bahrain, Qatar, Russia, and Saudi Arabia. Pilet intends to expand the bot to other European airports as well as different transport vehicles, like private boats and yachts. Nigerian President Muhammadu Buhari said Wednesday that he did not want an apology from Prime Minister David Cameron for calling his country “fantastically corrupt”, but said Britain could return assets stolen by officials who fled to London. “I am not going to demand any apology from anybody. What I am demanding is the return of the assets,” Buhari told an anti-corruption event hosted by the Commonwealth Secretariat in London. He noted the case of Diepreye Alamieyeseigha, a former governor of oil-rich Bayelsa state who was detained in London on charges of money-laundering in 2005, but skipped bail by disguising himself as a woman. Alamieyeseigha, who died in Nigeria in October, left behind “his bank account and fixed assets, which Britain is prepared to hand over to us. This is what I’m asking for,” Buhari said. “What would I do with an apology? I need something tangible,” he said. Cameron is hosting a major anti-corruption summit in London on Thursday, which Buhari is attending alongside Afghan President Ashraf Ghani. But in a diplomatic gaffe, Cameron was caught on camera on Tuesday saying that the leaders of some “fantastically corrupt” countries were attending. “Nigeria and Afghanistan, possibly the two most corrupt countries in the world,” he was filmed telling Queen Elizabeth II at an event at Buckingham Palace. Buhari has embarked on a widespread anti-corruption campaign since taking office last year, and in his speech to Wednesday’s Commonwealth event thanked Britain for helping recover stolen assets taken abroad. “Even before this government came in, the UK took the initiative of arresting some former governors of some of the states in Nigeria,” Buhari said. But in general, he said, “our experience has been that repatriation of corrupt proceeds is very tedious, time consuming, costly”. We will not be the Africans who stood by as we lost our elephants," says President Kenyatta. Eleven giant pyres of tusks will be set on fire Saturday as Kenya torches its vast ivory stockpile in a grand gesture aimed at shocking the world into stopping the slaughter of elephants. Kenyan President Uhuru Kenyatta, who will be the first to set fire to the semi-circle of tusks expected to burn for days in the capital Nairobi's national park, on Friday demanded a total ban on trade in ivory to end trafficking and prevent the extinction of elephants in the wild. "To lose our elephants would be to lose a key part of the heritage that we hold in trust. Quite simply, we will not allow it," Kenyatta said at a summit meeting of African heads of state and conservationists. "We will not be the Africans who stood by as we lost our elephants." The historic bonfires will be the largest-ever torching of ivory, involving 105 tonnes from thousands of dead elephants, dwarfing by seven times any stockpile burned before. Another 1.35 tonnes of rhino horn will also be burned, representing the killing of some 340 of the endangered animals. The pyres prepared in Nairobi contain some 16,000 tusks and pieces of ivory. Kenya has a long history of such torchings, spearheading a wider movement of public demonstrations across the world, but nothing on this scale before. On the black market, such a quantity of ivory could sell for over $100 million (88 million euros), and the rhino horn could raise as much as $80 million (70 million euros). Rhino horn can fetch as much as $60,000 per kilo, more than gold or cocaine. Even so, despite the staggering size of the piles to be burned, totalling some five percent of global stocks, the ivory represents just a fraction of the animals killed every year. The ivory here seized from poachers and smugglers over several years -- plus a small fraction from animals who died naturally -- is equivalent to just a quarter of the number of elephants massacred every year to feed demand in growing economies in Asia, eager for an elephant's tooth as a status symbol. Ivory itself does not burn, and so the fire will be fuelled by a mix of thousands of litres diesel and kerosene injected though steel pipes buried in the ground leading into the heart of the pyramids. "If you wish to incinerate it, you have to take it to extreme temperatures," said Robin Hollister, a former film special effects specialist turned pyrotechnic expert, who has organised the fuel-fed fires. His expertise will help ensure the stockpiles burn as planned despite torrential rain on Friday in Nairobi that saw cars on normally busy roads swamped by flood waters, and the area around the ivory burn a muddy quagmire. Richard Leakey, Kenya Wildlife Service chief, a legendary conservationist and palaeoanthropologist, promised the ivory piles "will burn, even if it snows". The ceremony, expected to be attended by Ugandan President Yoweri Museveni and President Ali Bongo from Gabon, is expected is due to begin at around 3:00 pm (1200 GMT). All Africans are intitled to their opinion on this destruction of millions of tonnes of Ivory. This is real Gold for these countries. Really one would not think that since the Spaniards in 16's Century stole so much Gold and Diamonds from South American Ancient States, then that Gold must be burnt and destroyed. What then happens to those Elephants that die in capitivity with so much old Ivory on their dead bodies? Is it that the colonialists make the international order to burn this valuable Ivory as well? African leaders please have some sense and come out with a better way of recovering and maintaining the continent's wealth that will sustain the global environment for some millions of years to come! Some people living have the luck to see and study bones left by Dinosaurs that lived millions of years ago. What if selfish economic madmen lived that time and burnt the lot? Centre IV in Mubende District at the weekend. Patients and health workers at Kasambya Health Centre IV in Mubende District have deserted the facility after two medical practitioners were arrested over soliciting bribes from patients. The suspects, both female, were arrested last weekend after an investigation by a team from the State House Medical and Health Services Delivery Monitoring Unit revealed that some health workers ask for bribes in exchange for government drugs. According to Dr Diana Atwine Kanzira, the director of the Unit, several people have complained about health workers in government facilities in Mubende asking for money in exchange for services. “Many heath workers have turned selling government drugs into a business. This is illegal. We shall not relent until we completely fight the vice,” Dr Atwine said. She said the most sold drugs are anti-malarials and ARVs. Dr Atwine revealed this while addressing an impromptu meeting for both health workers and patients at Kasambya Health Centre IV. Patients narrated how they are forced to pay or services –something they say has been a practice at the health centre for years. Dr Atwine also said Mama Kits are sold to expectant mothers adding that some health workers unpack the kits and sell the contents separately. She said the medics sell the cotton wool at Shs1,500, gauze (Shs5,000), polythene paper (Shs5,000)and gloves (Shs1,500). “We trapped the health workers by giving money to some patients to give to them when they asked, and we succeeded. Since the currency notes had been photocopied, it was easy to identify them by looking at the serial numbers and we arrested the health workers,” Dr Atwine said. During the meeting, one of the health workers said they don’t charge patients intentionally but as a mutual arrangement between the workers and patients to pay some facilitation to ‘volunteers’ who help deliver the medicine in time due to the limited number of staff at the health centre. About the expectant mothers, the health worker said they don’t charge them but rather ask them to buy some drugs in case they are not readily available in the health centre store. Dr Atwine warned that similar on-the-spot inspections are going to be carried out in other health centres in the district to weed out unscrupulous medics. “This should stand as a warning to all the health units in Uganda that whoever indulges in selling government drugs and services will be charged accordingly because all government services are free,” she said. Theft of government drugs has become a rampant vice. Last month, authorities in Lwengo District suspended four medical officers in connection with theft of government drugs. Last year, the State House Health Monitoring Unit revealed that many government medicines, especially those stolen from health centres are being sold in DR Congo, South Sudan and Kenya. The State House Monitoring Unit was established by President Museveni in 2010 to check theft of medical supplies from public health facilities. On November 16, the great journalist wrote about international strategic and military issues, F. William Engdahl, the article "Do We Really Want A New World War With Russia?" (Do we really want a new world war with Russia?) And documented that Russia has caught up with one-tenth of the Army US spending in terms of combat capability with the US at least. It is a remarkable article, although he carries along everything that was recently published in many media with regard to important technologies, where Russia has surpassed the American capacity. Of course it's necessary to document the extent of the areas where Russia clearly has the military superiority. Regarding the question of whether the areas where the US Russia exceeds military technologies that are more or less, so it is the crucial point of the, in my opinion, that Russia now (as Engdahl makes clear) the US capabilities in certain very crucial areas surpasses so strong that at best, the United States, even with all his allies equal draws with Russia, because the areas where Russia is outstanding, are crucial. Engdahl quoted a high US military, which says that the Russian ability to make the US weapons harmless, are so shocking that he might almost crying. A recent article in, Defense News' went further on Russia's superiority in this particular field - and that was released prior to the plan following shameful US Rückziehern in Syria and elsewhere, which were necessary due to the unrivaled US position with respect to vital technologies. According to other corruption measurements, the United States is probably less corrupt than Russia. But everyone knows that it is very corrupt. But typically America manages its corruption swift to hide as Russia - but that's not important; In total there is corruption in both countries not so different, except in the form of corruption: in the United States more at the top, in Russia below. Corruption seems to be in the US quite a profound problem. When "diversion of public funds (thanks to the corruption)" the United States is ranked 34. "irregular payments and bribes" (which perhaps is a better measure of lack of corruption) at No. 42. With "public confidence in politicians" at No. 54 . When "judicial independence" at No. 38. "favored in decisions of government officials" (elsewhere called governmental nepotism) at No. 59. "organized crime" Place 87. "ethical conduct of companies" Place 29. "Trust Police services in place 30 For "transparency of governmental political decisions" Course 56. "effectiveness of the legal framework for complaints about rules" Place 35. "Last of governmental regulations" Place 76. "waste of government -Expenditure "also 76." protection of property rights "(the basic law-and-order measures) we are at number 42. Russia was even worse with an average space of 144 110 countries. The army is lagging a decades-old demand afterwards to control their spending and to limit the waste, the inspectors of the Defense Ministry of the Senate announced on Tuesday. Army, Air Force, Marine Corps fleet and finance managers are unable to meet the deadline of Defense. In the meantime, there are "serious shortfalls" in the books according to the accounting authority that was published on Tuesday. For almost three decades the taxpayer marvel at toilets for $ 640 and other military waste. The Defense Ministry is the last governmental authority that is unable to make an audit, although this is required by law since 1990 levels. In other words, this is a black hole where trillion tax dollars have disappeared, without any reliable evidence of how, when and to whom it all went. The fact is that the US government now almost everything subcontracted to private companies (collectively spend billions of lobbies in the Congress and to fund political campaigns); and that is particularly true on the Pentagon. It is the result of the increasing use since 1981, capitalism '(the dictatorial, not democratic version thereof), as happened in Fascist Italy and Nazi Germany, where governmental functions and ownership were first privatized and the weapons manufacturers enormously were enriched in order to strengthen the control of the German and Italian aristocracy through conquest of foreign countries. Faschistiche countries are incredibly corrupt; served by international theft; and the Department of Defense is fabulously corrupt. And want the corrupt aristocracies of Turkey, Saudi Arabia and Qatar - the three main US allies - Syria's secular, non-sectarian and obstinate anti-jihadists, Shia [an error - Assad is Alawit. D. Ü.] Leader Bashar al-Assad overthrown. To speak of such an alliance, a pro-Sunni jihadists operation that it represents the free world 'or' fighting for democracy ', ie the audience not merely be regarded as stupid, but as a stupid idiot, because there is no true freedom are in aristocratic -theokratischen dictatorships, but sag only Gesinnungs control and aristocrats, the billions of the taxpayers, which the aristocrats can expand their personal empire by international conquest continued with the US aristocracy (the Obama like as "the indispensable nation" called), which coordinates the entire fraudulent international business companies. The Israeli government can be added to this list, because they of the US taxpayers $ 3 billion annually receives to buy more weapons from the US arms producers, and it urges the Congress to increase the amount to $ 5 billion , This would put the Lockheed Martin company in basic corrupt even more money. One of Lockheed Top sellers was the notorious Adnan Khashoggi, alias Adnan Kasogi. Lockheed itself is controlled by the State Street Corporation, which is referred to in a large study of the 5th largest global leaders, which in turn is controlled by Joseph L. Hooley, occasionally with other Wall Street types, and the US President privately at the White House meets to discuss things such as whether the amount of Israel should be raised to 5 billion. Is not that "corruption"? How not? Those people are your investors committed not to the public. Because most of these people are not publicly known, large international transactions may be (including war planning) negotiated privately between them. And normalerweilse people like Hooley again merely agents of a couple of the few about three thousand billionaires who currently control the international relations and determine whether there will be war or no war. Almost all of the soldiers and civilians, which then bleed and die must in the wars, have nothing but their blood and viscera. Maybe some of them vote for democracy - the bane of all aristocrats, because democracy always comes in their way - their free market ', will be assessed on the blood and guts barely higher than in the slaughterhouse. It's easy to shop '. But every international business is always politics and government. The mixes everything. The trouble is that Russia's notoriously corrupt with its base-corruption, but the US with its massive corruption at the top - which increasingly is always legal, after the Supreme Court has really done everything possible to lubricate the runners even more - in fact, much more corrupt is (just not so visible). The Russian system of military spending is the America's diametrically opposed. While the United States has been privatized, Russia has its military industry in state hands. All profits from arms sales go to the Russian government, not to the makers in the multinationals. The arms manufacturers are part of the government. Just like in the US, there are no financial reports on their operations; but there are financial reports every year that are reviewed by the Defence Minister and, moreover, by the President and the Prime Minister - ie people who are responsible to the electorate, not only the aristocracy of large shareholders. In the US, there are no financial reports. Instead, (more like aristocratic choice) flow see America's politicians, the dollar only in their election 'campaigns. The war profits are private and the buying of politicians is just another business issue. Russia receives far more on its military rubles - that's for sure. As Obama now increasingly trying to strangle Russia, not only economically but also militarily, this overlooked component of America's huge corruption comes more and more into the light, but not the financial operations behind. And yet believes the US public that, Verteidigungs' Ministry and all its contractors and the national security operations such as CIA, FBI, etc. especially are there to protect the American people, rather than to protect the empire and to extend and aristocracy, which through its investment funds and non-profits 'called the press her own, the weapons manufacturers, etc. It is a network of power, the more earned more if the public lives in fear and contempt, those strangers' or , those foreigners' entertains, but not against their own aristocracy, which really pulls the strings and the safety and the lives of all others destroyed. A Former Iranian President , Mahmoud Ahmadinejad, who left office earlier this year, has reportedly returned to his original profession of teaching. One lesson Africans need to learn, in order to guard against the Life presidency project, is to have only well educated and professionally qualified people as national leaders. Putting power in the hands of uneducated and uncivilised individuals like Kayibanda Kaguta Museveni, who have never worked in any capacity in their adult lives and have no profession to talk of, should never happen again in any African country. It is very heart-warming to see Mr Ahmedinejad peacefully leaving office after the end of his two terms and then returning to his profession as an engineer and academic. Unlike Kayibanda, who is accompanied everywhere with a full brigade of armoured vehicles and jack-booted thugs. Ahmedinejad travels in a bus to teach at his University, taking his place on the queue just like any ordinary citizen. We need leaders with humility, respect, dignity and compassion in Africa, not gangsters like Kayibanda and thugs who think they own us. The Parliamentary committee listening to all this corruption that does not want to go away. As Ugandans struggle to take in the controversial Shs 6bn handshake, the Ministry of Energy seems to have been rocked with another scandal. Business Focus has established that documents showing proof of payment of oil revenues by oil companies have disappeared with no trace from the East African country’s Ministry of Energy And Mineral Resources. According to reports, the details of the mysterious disappearance emerged on Wednesday morning during the probe into the Shs6bn oil cash bonanza payments amongst top government officials. Among the terms of reference that the Committee of Statutory Authorities and State Enterprises (COSASE), included looking into all the oil revenues that lie in the consolidated fund, since the establishment of the Petroleum Fund. In their first meeting with the Committee, the officials of Ministry of Energy led by Minister Irene Muloni were asked to avail documents detailing the oil revenues collected, a demand the Ministry complied with. But further scrutiny of the documents by the legislators revealed that receipts totalling to Shs14.3bn had gone missing. According to COSASE Chairman, Abdu Katuntu, the documents the Ministry tabled are questionable since they raised more questions than answers. “We have a problem with the document you submitted last time. Some appear in the statements and there are no receipts. We would like to know in detail how much money has accrued from signature bonuses, data payments, discovery bonuses, penalties from non-payments and later alone the tax revenue, stamp duty and Capital Gains Tax,” Katuntu said. He added that an analysis conducted on the submitted documents showed some crucial documents missing. “We have done analysis of the document you gave us and this is what we have so far noted. Receipts for 2012/13 were not presented though they appear on your statements. Receipts for FY 2013/14 No 1437 and No 14804 were not presented. Receipts FY 2014/15 No 17584 and NO 17585 were not presented though they appear on the statement,” the Bugweri lawmaker noted. “Receipts for 2015/16 No 18355 and No 18354, No 18387, No 18388,No 18979,No 18887 were also not presented. Your record shows that it was received on the 6th October 2016, there is no receipt,” he probed. He noted that although some money was captured in the statements, there is no proof of their existence since no receipts were supplied to back up the submissions. “We also know that USD113, 400 supposed to have been received on the 7th October 2016 is also not receipted yet it is reflected on the statement. Amount which we have added which is on the summary of your statements but not receipted is Shs14.3bn. “We didn’t submit the receipts and we note the review of the submission and aspects that are missing, we request we look at the specifics and we get back to you. Give us some time to look at those that were specifically not sent, because I don’t see why they weren’t sent,” Rubondo pleaded. The Committee has ordered the Auditor General, John Muwanga to carry out a forensic audit on both Bank of Uganda and Ministry of Energy and further establish the money that lies on the Petroleum Fund and how it has been spent. On Thursday, the Committee is set to interface with other top officials who received the handshake among which include; Allen Kagina, Keith Muhakanizi, Kabagambe Kallisa, Jennifer Musisi.